Taylor Swift has caused a stir online after visuals for her new music video for “Delicate” was found by netizens to be a “blatant copy” of a 2016 Kenzo fragrance ad directed by Spike Jonze. Both sequences saw the female protagonists wearing green dresses and dancing uninhibitedly in a hotel and without the notice of other people. Some elements which were pointed out to be similar were the setting, colour palette, and choreography, to name a few. 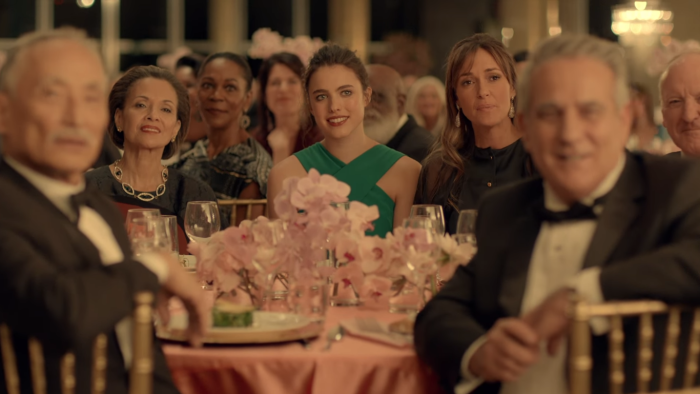 In Kenzo’s ad, model and actress Margaret Qualley is seen leaving a function in favour of dancing around different areas in the hotel in a slightly deranged manner. She is also seen performing wild stunts such as a back flip in heels and shooting energy bolts out of her fingers to the beat of the music. Swift’s music video, while more slowed down, also featured similar elements of dancing with Swift dancing in different rooms of a hotel, before proceeding to the subway and city streets. Her dancing goes unnoticed until she reaches a bar with people. Netizens called out Swift for copying the Kenzo’s ad, which was released two years ago to promote the brand’s World fragrance. One comment, which garnered 394 likes and 111 retweets, called Swift’s video the “poor man’s version” of Jonze’s ad. Meanwhile, other netizens called the music video a “blatant rip off” of Kenzo’s ad. From an advertising perspective, founder of Formul8, Fiona Bartholomeusz agreed that the entire concept seemed to be a copy. The giveaway she said, was the dance choreography which was very similar. “It’s a very distinctively unique style which I, frankly thought, Margaret Qualley nailed and Taylor Swift didn’t,” she said. In 2015, Taylor Swift worked with Apple on an ad which saw her running on a treadmill and singing along to Drake’s song Jumpman. While getting caught up rapping Swift slipped and fell right off the treadmill. One year later, Apple released an ad with Drake doing the same thing, but with weights and this time listening to Swift’s song Bad Blood. The singer has also worked with the likes of Toyota which roped her in its first Southeast Asian road safety campaign. Read also: Opinion: Is Taylor Swift’s celebrity brand really under a siege? Bain said he's excited to do something "totally different and new outside the company. "..